I'm as passionate about my activism as I've been for skateboarding. Dogtown and Z-Boys is a 2001 documentary film directed by Stacy Peralta. 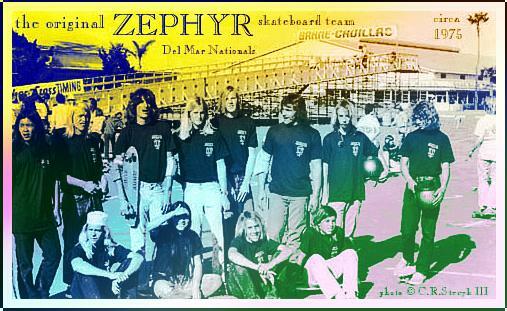 Using a mix of film the Zephyr skateboard team shot in the 1970s by Craig Stecyk and more recent interviews, the documentary tells the story of a group of teenage surfer/skateboarders and their influence on the history of Skateboarding (and to a lesser extent surfing) culture. The film is narrated by Sean Penn. 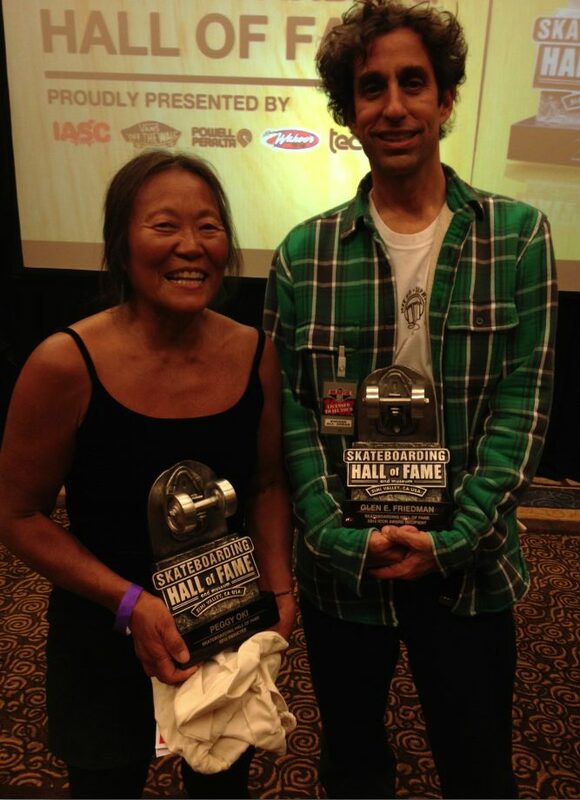 Since her skating days with the Z-Boys, Peggy Oki went on to UC Santa Barbara to study environmental biology, eventually receiving her Bachelor of Arts in Painting at The College of Creative Studies (UCSB). (She got around campus, primarily by skateboard.). The theme of her paintings reflect the landscapes, seascapes, and marine mammals that she loves. With her more recent activity of rock climbing, she includes images from her climbing trips to Joshua Tree, SE Utah, and Yosemite National Park. Still surfing, now for over 40 years, she’s travelled to Fiji, Mexico, South Africa, French Polynesia, Indonesia, Japan, and Tonga, Hawaii, New Zealand , Australia, and Costa Rica. She has a greeting card business representing her artwork, teaches art and her Whales & Dolphins Ambassador Program, and occasionally freelances in graphic design. As a fine artist she’s exhibited in over 40 group exhibitions, and more than a dozen one-woman exhibitions. 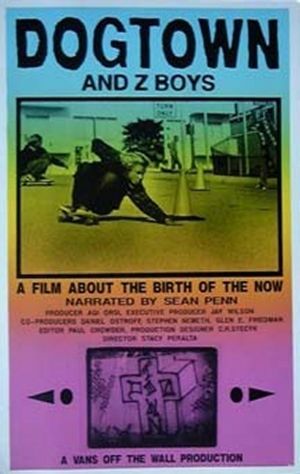 "Dogtown and the Z-Boys" documentary. The Legend Of The Z-BOYS"
(co-authored with long time friend and mentor C.R. Stecyk III). "Vegetable Shredder – Peggy Oki"
signed by artist Peggy Oki.